The aim of this chapter is to highlight the necessity of a change in perspective and a new approach to Retail Service Marketing by addressing the recent challenges posed by a radical rethinking of market exchange logic using a service view. Recent Service Marketing advances are analyzed, which lead to the Service Dominant Logic proposal to take a general service view of market exchange, envisaging an emerging paradigm change. However, the key to this potential paradigm change is not yet well focused. A gap in the theoretical approach emerges that can be closed by adopting the Viable Systems Approach and the structure-system interpretation scheme. Their implications for retailing are discussed, and the key to change is emphasized. 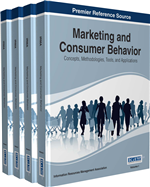 This chapter introduces a new theoretical and conceptual framework rooted in systems thinking, which recommends a Service Systems Approach to Retail Marketing. Service marketing on the one hand, and retail marketing on the other, have fueled a growing interest by scholars and practitioners in recent decades and given rise to relevant, worldwide research streams. Despite apparent theoretical and practical connections between the two areas of interest, little attention has been devoted to combining their respective theoretical advances. Conversely, with appropriate integration, as suggested by Bateson since 1985 and more recently, although implicitly, by Lusch, Vargo and O’ Brien (2007), the two fields can gain significant benefits from one another. Accordingly, we focus on the inner “service” nature of retailing and argue that a relevant contribution can emerge by integrating recent advances into the theoretical context of Service Marketing, with particular reference to the Service-Dominant Logic (SDL) proposal (Lusch & Vargo, 2006; Vargo & Lusch, 2006; 2008) and the wider view of Service Science (SS) (Maglio & Spohrer, 2008; Spohrer, Maglio, Bailey & Gruhl, 2007). With this aim, we discuss this possible theoretical integration by adopting the general perspective of the Viable Systems Approach (vSa) (Barile, 2000; 2008; 2009; Golinelli, 2000, 2010; Various Authors, 2011) as a methodological reference useful to highlight convergences and potential advances. The evolutionary pathway traced by marketing theory in recent decades shows a series of changes in perspective that have led to a shift in focus from selling goods to establishing solid relationships with customers and, more recently, to developing a general service logic in the market exchange. This evolution has been theorized as leading from a Goods-Dominant Logic (GDL) to a Service-Dominant Logic (SDL) of market exchange (Lusch & Vargo, 2006). The key step in this evolution was first identified by the Relationship Marketing research stream (Gummesson, 2002), which understands the need to develop and maintain good relationships with customers both to build a solid basis for market exchange and to overcome transactional logic. Interpreted through the lens of the vSa, this evolution clearly reflects the need to overcome the traditional reductionist view of marketing, creating the basis for a new general theory of exchange. When focus is on goods, on products to manufacture, sell, distribute, deliver to customers, attention generally falls on their features (especially the physical ones) and is diverted away from the reason for which they are manufactured, sold, distributed, delivered, etc. : to serve the needs of people or organizations, solving their problems. Perspective needs to be changed by recovering the original “service” purpose. In this context, the need for a systems view capable of strengthening the understanding of emerging requirements of the current market scenario clearly reveals a research gap that must be closed (Barile, Pels, Polese & Saviano, 2012). By adopting the perspective of systems thinking, the traditional reductionist view still appears to dominate over the interpretative approach both in business research and in management. This is particularly true in the case of retailing, in which, despite relevant recent theoretical and practical advances, the traditional view, excessively focused on “goods to sell” instead of “service to propose,” still dominates in most cases. Although technically paid for offering a service, in actual fact, many retailers reveal to still play a mere operative role in making a manufacturers’ products assortment accessible to consumers. This can be true even when many additional services are offered with the aim of enhancing the value delivered by retailers to customers.